For the Centenary celebration of the Newnham College Roll, Janet composed Better is Wisdom. She co-wrote the text with fellow Newnham College alumna Deborah Chancellor, basing it around the text of the magnificent embroidered banner which was carried during many suffrage marches during years of campaigning for the vote. The piece for SSAA choir and piano was premièred very successfully by a choir of Newnham Alumnae conducted by Janet and accompanied by Janet’s daughter Sarah Cattley – herself also a Newnham alumna. The piece combines an energetic refrain (“Better is Wisdom than weapons of war”) with more reflective sections inspired by the beautiful college gardens and their place in the affections of the students, past, present and future. 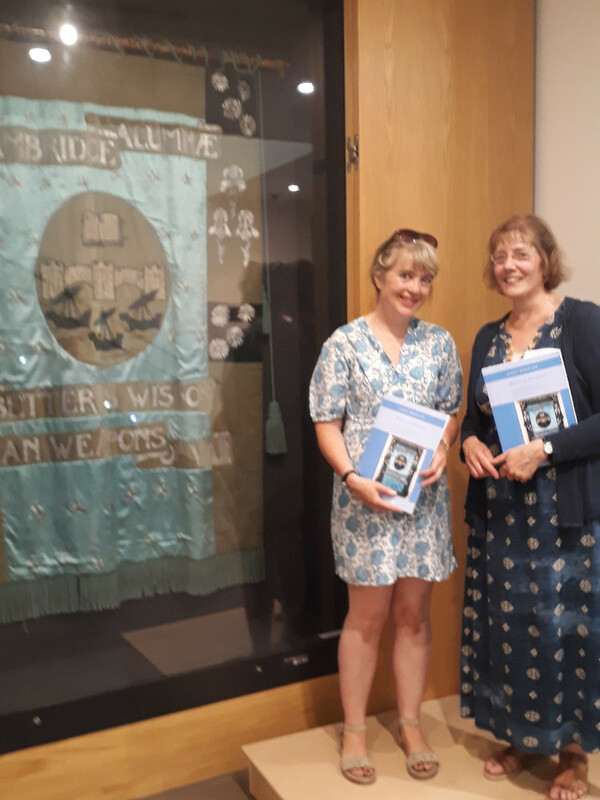 Pictured: Janet and Deborah with the banner, embroidered by students from Newnham and Girton Colleges.